There are few things more magical than your wedding day. Celebrate the start of your marital bliss by sending off fireworks at your summer celebration. Fireworks are an ancient tradition born in 7th Century China, and now are often used to represent big holidays such as Independence Day and Memorial Day. We think its a grand idea to set off a big fireworks display at the end of your wedding reception to wow guests and leave a lasting impression for years to come. 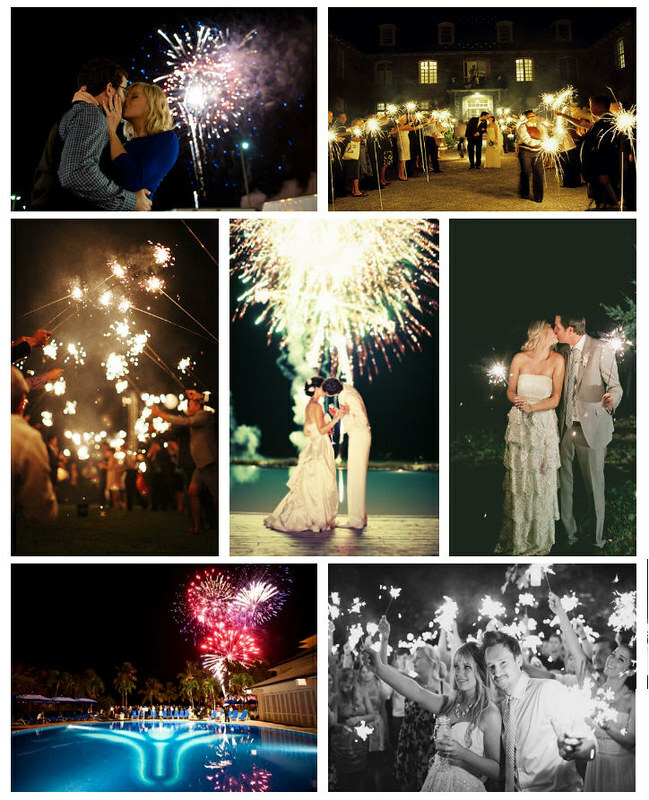 In honor of the 4th of July festivities happening this weekend, we created some sparkler & firework wedding inspiration to help you planning for your summer wedding, enjoy!